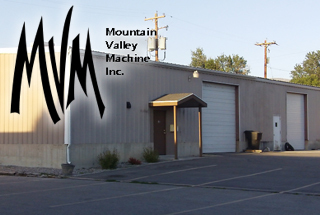 Mountain Valley Machine Inc. was established in 1991. After 5 or so years of experience machining at a local machine shop, it was time to make this happen on our own. I borrowed a few dollars from my dad, found an 800 square foot building to rent, purchased a couple of machines and the rest is history! We have truly been blessed over the years to build so many good relationships with good people from local businesses to all over the world!